Follow a healthy diet for the whole course of life , improves quality, and this is even more true for older people . And ' what emerges from a new Australian study . "Our study has shown that maintaining a quality of the diet is useful to preserve the general welfare, especially the older ones ," said the study's lead author , told Reuters Health Bamini Gopinath . Gopinath is a senior researcher at the Westmead Millennium Institute for Medical Research at the University of Sydney, Australia. " 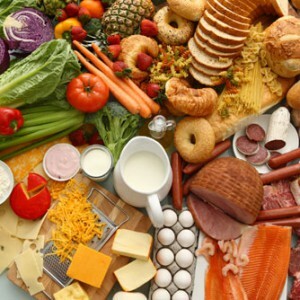 adhering to national dietary guidelines , which are characterized by a high consumption of fruits, vegetables , whole grains and fish, it helps to maintain a good quality of life and functional capacity such as grocery shopping, household chores, prepare meals , etc. .. " he continued. The study involved 1,305 men and women over 55 who were part of a large Australian study on common eye diseases and general health. Participants completed questionnaires on what they ate and how often , and the researchers assigned to the diet of each person a score on a scale of 0 to 20 based on the Australian Guide to Healthy Eating. A quarter of the participants had scores above 11 ( diets of good quality). Five and ten years later, the participants were asked to self-assess their quality of life with regard to physical health, mental health, and social vitality. Each area was measured on a scale from 0 to 100. Participants with the highest scores in the diet have reported a better quality of life, particularly with higher physical functioning , better general health and greater vitality. While there were large differences in relation to mental health and the social , between those who practiced a proper diet and who is not.
" If the elderly do not have healthy choices when they were younger , they might need to change their habits late in life to get the nutrients you need for a better quality of life. Indeed, many older people are deficient in vitamins , minerals and fiber " said Ruth Frechman to Reuters Health, a dietitian spokesperson for the Academy of Nutrition and Dietetics , was not involved in the study.